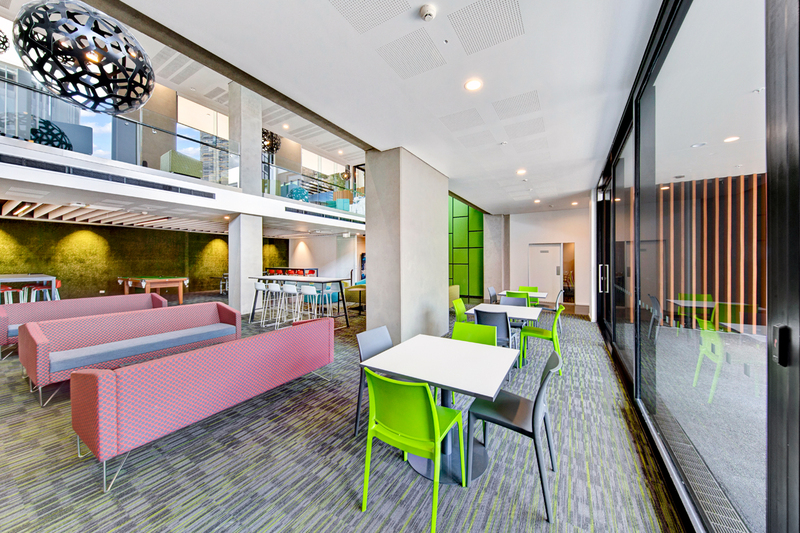 53-55 Symonds Street is a 343 room, 16 level purpose built student accommodation building that expresses its structural exo-skeleton. 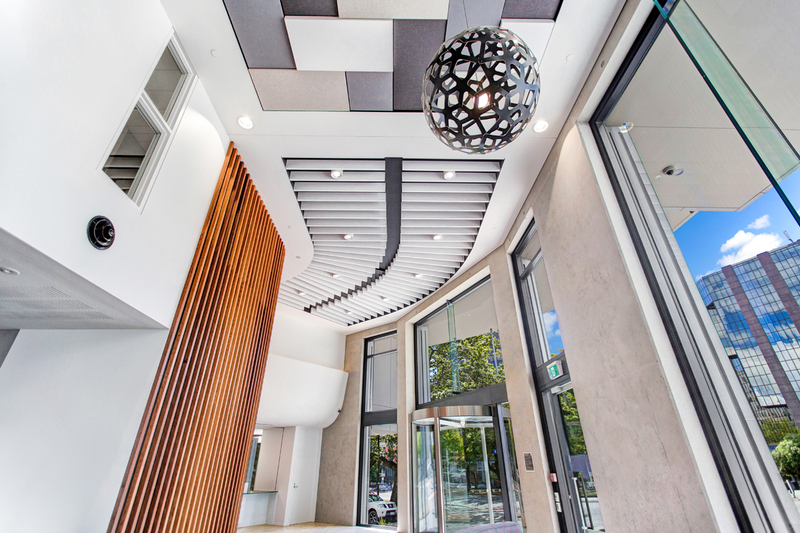 By using its exo-skeleton to curve around the Wakefield Street, Symonds Street intersection, the building “turns the corner well” providing an overall aesthetic as well as serving as a space-saving device. 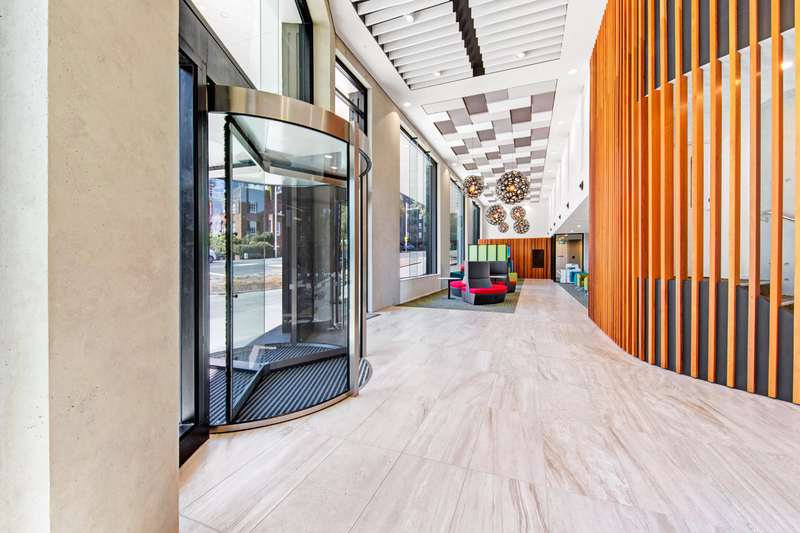 Design opportunities to benefit the building’s users and pedestrians have been found within the tight, restrictive business model generally used for student accommodation. 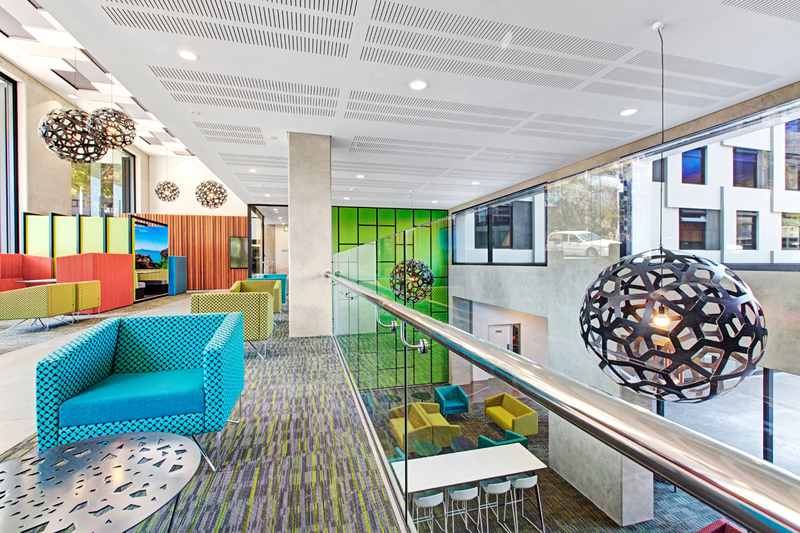 The development offers generous social spaces across two ground levels on the sloping site which provide innovation within a typology that has much room for improvement. 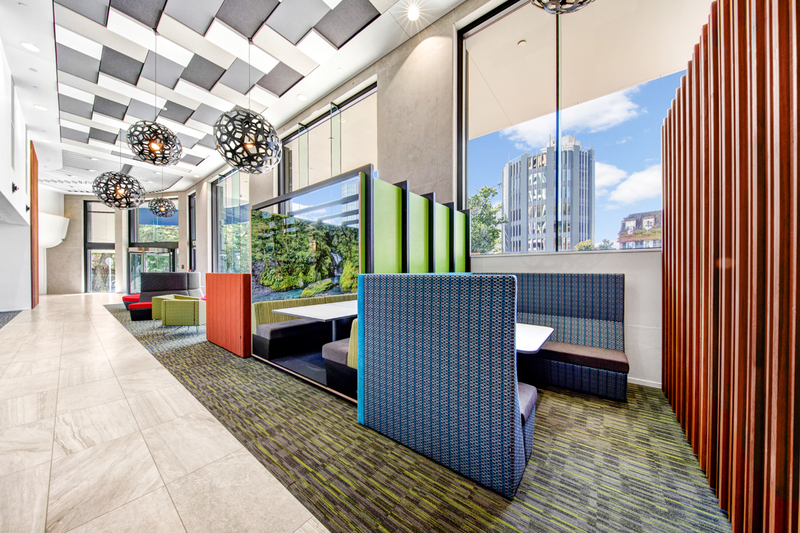 Views through the building from Symonds Street to the urban valley beyond enhance the pedestrian experience as well as establishing a connection for the students and the city they may be new to.